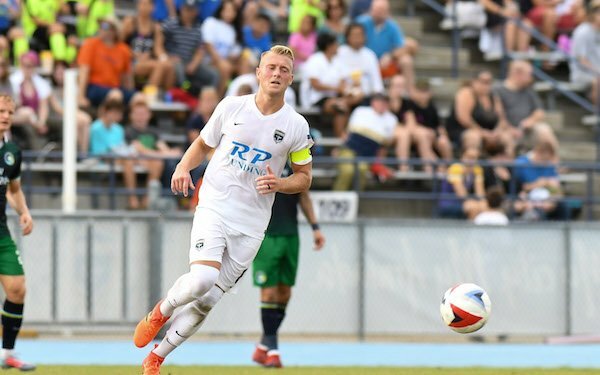 The USL's Tampa Bay Rowdies signed 23-year old English attacking midfielder Jack Blake on a season-long loan from the Jacksonville Armada. Blake was named the NASL Young Player of the Year last season with nine goals and four assists in 27 appearances for the Armada last season. He came up through the academy of his hometown club, Nottingham Forest, and arrived in North America in 2015, signing first with Minnesota United. Until now, the Armada and Miami FC, two of the remaining teams from the NASL, have kept most of their teams intact as they plot their next course. NASL MVP Stefano Pinho left Miami FC for Orlando City and Kwadwo Poku left for Russia's Anzhi Makhachkala. Most of the New York Cosmos have moved to clubs in MLS or the USL.